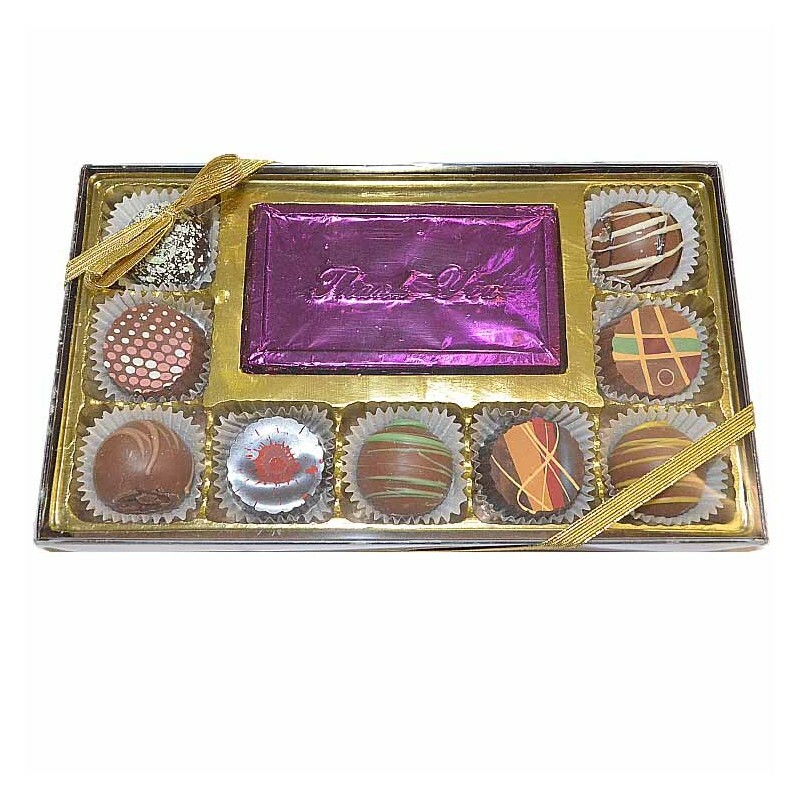 Truffles are a layered crunchy chocolate filled with flavored creamy ganache. Flavors include: Raspberry, Chocolate, Orange, Hazelnut, Irish Crème, Caramel, Coconut, Amaretto, Mint, Butter Pecan and Champagne. 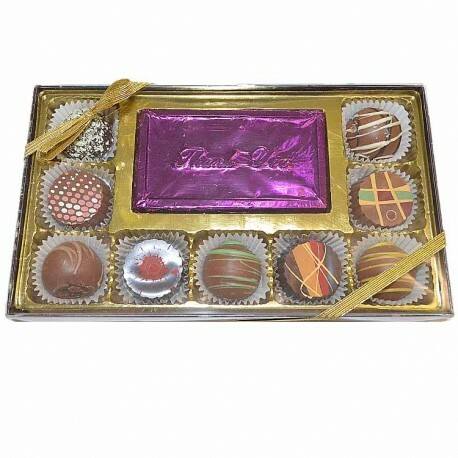 The 9 piece comes with a Milk Chocolate Card with the wording of your choice. They are perfect for a gift!